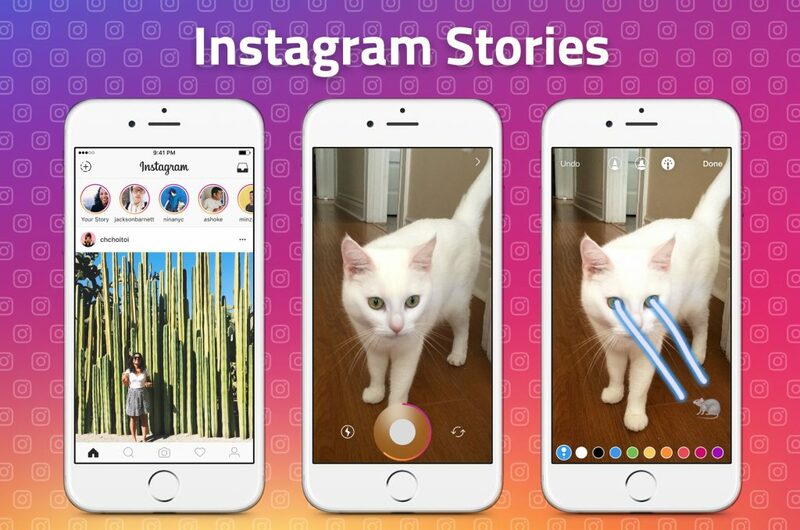 Instagram stories that was released not too long ago, in 2016 has increased in popularity over the months. 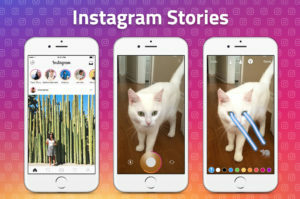 When it first came out, it was considered to be a complete copy of Snapchat’s Stories feature, which is kind of true but Instagram has still been able to make stories something popular among its users and in this article, I’ll be teaching you How to Create Appealing Instagram Stories. If you are new to Instagram Stories, here’s some basics. Instagram Stories allows you to post videos and photos that will be deleted after 24 hours. People will be able to see your stories from your profile and at the absolute top of their feed. If they are following you, your profile picture with a colorful circle around it will be displayed at the top of their feed along with other people’s Instagram Stories. If they aren’t following you, people will be able to see your stories by tapping your profile picture. If you are private, only your followers can see you stories. Read an in-depth guide about Instagram Stories here. First off, Instagram Stories offers a pretty fun feature where you can get super creative. And this appeals to a lot of people. You can find drawing pencils at the top right of the screen. Tap that and lots of new paining tools will appear. This allows you to adjust brush size and choose from a variety of colors. This tool really helps you create fun and unique Instagram Stories if you just let your fantasies flow. There are three brushes you can choose from. Glowing, standard and highlighter. Play around with these and see which your favorite is as all of them have different looks. The icon at the top right corner to the left means stickers. Tap the sticker symbol and a huge collection of stickers that you can add to your photo or video. First, you’ll have stickers relevant to where you are and you can choose a city just like when you check in to a place when posting a regular picture on Instagram. Then, there’s the temperature and the time. If you scroll down even further, you can find your regular emojis. Tap a sticker you would like to use and it will appear on your screen. Hold the sticker and drag it and a trashcan icon will appear. If you would like to remove the sticker from your photo or video, simply drag it to the trashcan. You can also enlarge and shrink your stickers by pinching them on the screen. The third tool you can use is the regular text tool. You can actually make quite a lot with this tool and go from posting boring stories to really making your stories appealing by using the text tool to the max. You can start writing on your stories in two ways. Either tap the mentioned symbol at the top right or simply tap the screen. Here, you can enlarge your text, write it in a fat font, choose from a variety of colors and change the size of your text. When you are done writing, tap “done” in the top right corner or just tap the middle of the screen. Pinch the text just like you do with the stickers to enlarge it and shrink it. You can also rotate the text to make it more fun. Just like with the stickers, hold the text and a trashcan will appear if you wish to remove the text. At the moment, there are five different recording modes that you can choose from. Live video, Normal, Boomerang and Handsfree. Firstly, there is the LIVE feature where you can broadcast live video to your followers. Secondly, there is the “normal” mode where you take regular photos. You can also tap and hold the normal button to start recording a video that can be up to 15 seconds long. Thirdly, there is the Boomerang video feature. You might have seen so-called boomerangs on Instagram before which is a mini video that plays forward and backward. To use this, you have to download the free Boomerang app first. Boomerang is not your ordinary video. The app basically takes a bunch of photos and then links them together making a short but sweet repetitive video that can make for super cool effects. Here you can watch some great boomerangs to see what it’s all about. Fourthly, and last is the Handsfree recording button. This works just like the video recording button but the difference is that you only need to tap once and then it records a fifteen second video for you so you can have your hands free while making the video. The name gives it away quite easily. Because Instagram wants people to post fresh and recent content on Stories but they allow you to post images and videos that have been taken in the last 24 hours. This is quite a great feature as it can be quite difficult taking good pictures with the stories camera. With the ability of taking photos with a high-quality camera and then uploading through your phone to Instagram stories, you can step your stories game up and make it more appealing. To post content from your camera roll that you have taken in the last 24 hours, simply swipe up on the screen when you are in the camera mode and you can scroll through your images. by scrolling to the right. When you have chosen the image you want, simply tap it and then you’ll be able to draw on it, add stickers and write a text just like any other Stories image. I you wish to post an image that was taken more than 24 hours ago, simply screenshot it and it will appear among your latest images. Instagram Stories is a fun addition to Instagram. Its popularity has grown immensely and as it has grown, Instagram have added new features to make the experience more fun. With the many tools that are now available, you can create very appealing Instagram stories. Let us know how you are using Instagram Stories to make appealing posts and videos!